Last Friday myself (Ben, hello) and a few other people from the design team headed to Brighton for the Ampersand web typography conference. Organised by Clearleft (who also organise the brilliant dConstruct where our own Dan Hon is speaking in Spetember) this conference this was one of the first conferences in the UK to pull together developers and designers to talk about the increasingly important area of typography on the web. A little history for the non font obsessed out there. When HTML was first created fonts were controlled by the settings of each web browser. There were very few fonts and designers had almost no control over over typography. The <font> tag was introduced in 1995 and was closely followed by Cascading Style Sheets in 1996 which allowed you to do crazy things like bold and italic. Around the same time Microsoft released a group of of now infamous fonts (Arial, Courier New, Times New Roman, Georgia, Trebuchet and Verdana) under it's Core Fonts for the Web initiative. Now there are various services that allow designers to use almost any font on the web as actual selectable text rather than as an image. This is big news. Big news for visual presentation and big news for accessibility and usability. And it's also big news as more screens become connected to the web, it's no longer just PC monitors, whose characteristics are quite easy to predict, it's also mobiles, tablets and out of home screens. All the big players were there. Font Deck, typekit, Webtype, MyFonts and Hoefler & Frere-Jones. This is a fascinating area and vitally important for designers to understand. Making things look great is one aspect of design, understanding the technology used to reproduce your designs is another. It's as important to understand web fonts as it is to understand how ink hits a paper page. 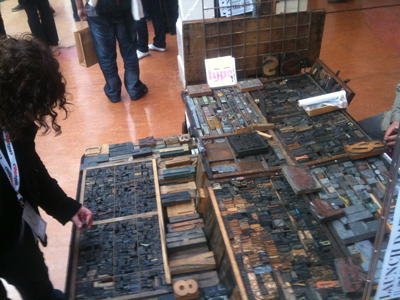 Wooden type for sale in the breaks. To be honest, many of the talks were either a little too heavy on the technical or a little too light on the typographic craft. That's not really a criticism – it's mainly a product of the period we're in. There are lots of "art school educated" designers who don't know much about the web and lots of web developers who don't know much about classic typography. To give you an example Tim Brown talked at length about the Golden Section and John Daggett talked at length about the code behind font embedding in Firefox. For us there were two highlights. Vincent Connare is famous for designing Comic Sans but he also helped designed all those now famous fonts I mentioned earlier including Trebuchet and Webdings. A warm, funny speaker Vincent explained the thinking behind Comic Sans (actually very interesting) and the evolution of web typography from way, way back in 1997. Fascinating. 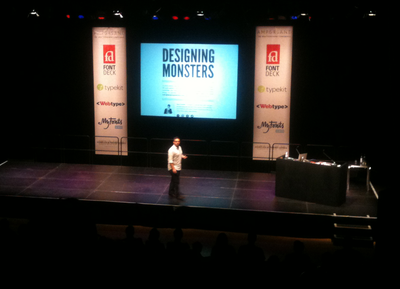 The stand out speaker was the brilliant Jonathan Hoefler-Jones. A legend among the design community he created Gotham famously used in Obama's Election Campaign as well as many other great fonts. Johnathan spoke with an infectious passion about his own work. The craft oozed from every word. He crammed so much incredible stuff into every slide (90m hints in 665 fonts since 2007) I was just hoping some if it would stick. He was funny, humble, interesting and talented. A great talk by a great designer. 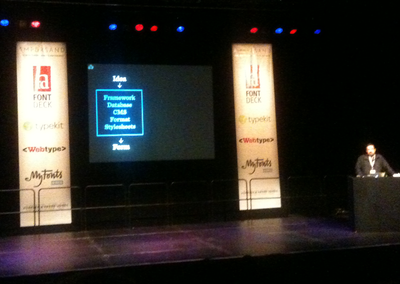 He finished off by announcing that very soon all Hoefler & Frere-Jones fonts will be available as web fonts. A really interesting and valuable day. 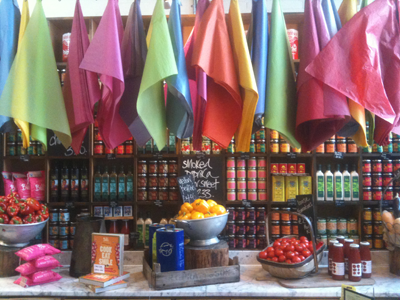 Lunch at the suitably design friendly Bills.